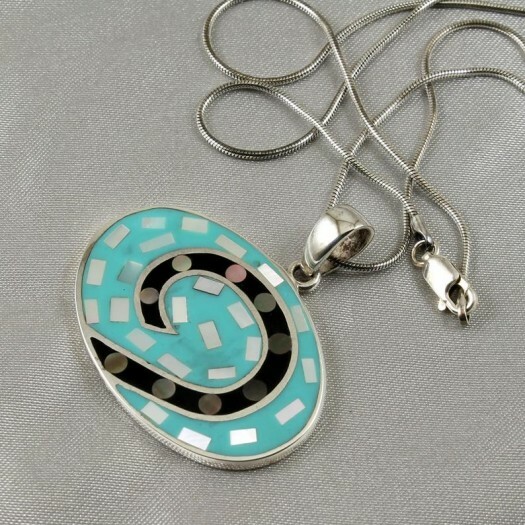 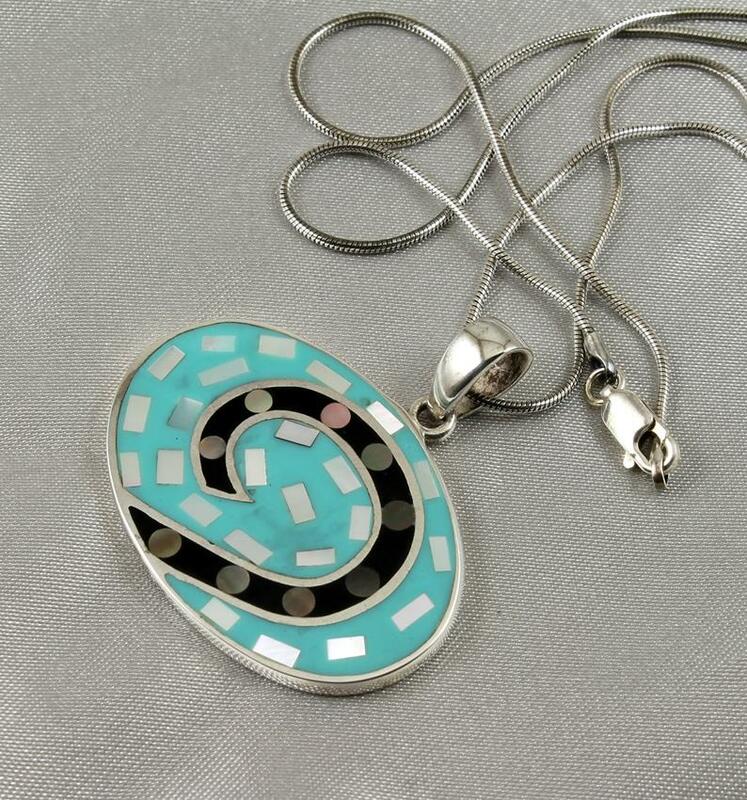 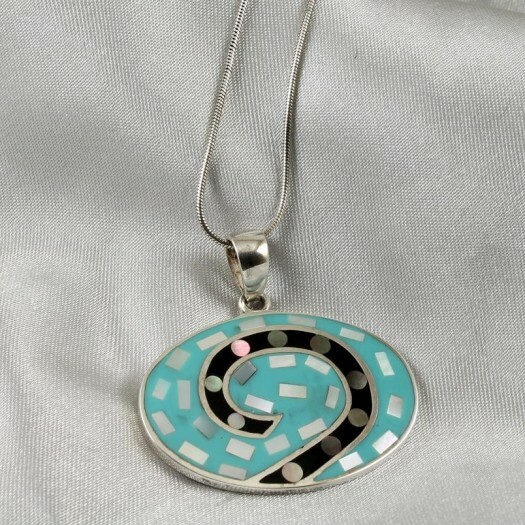 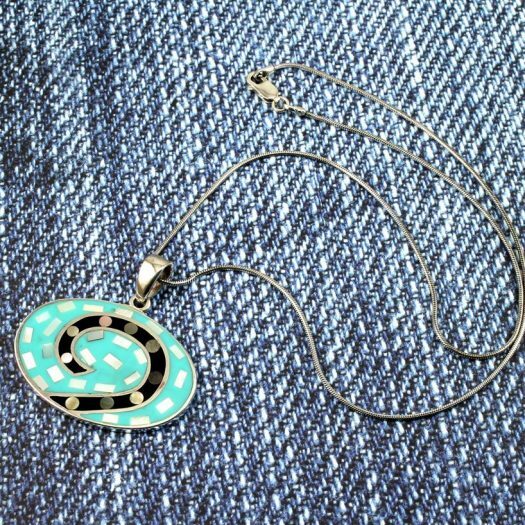 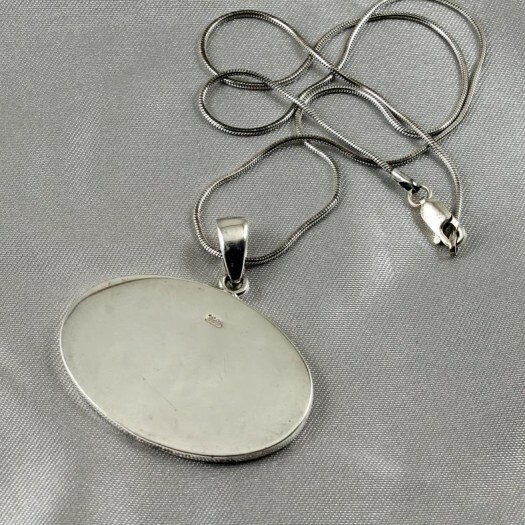 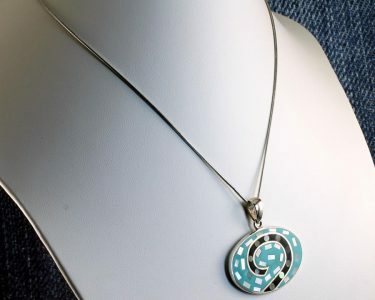 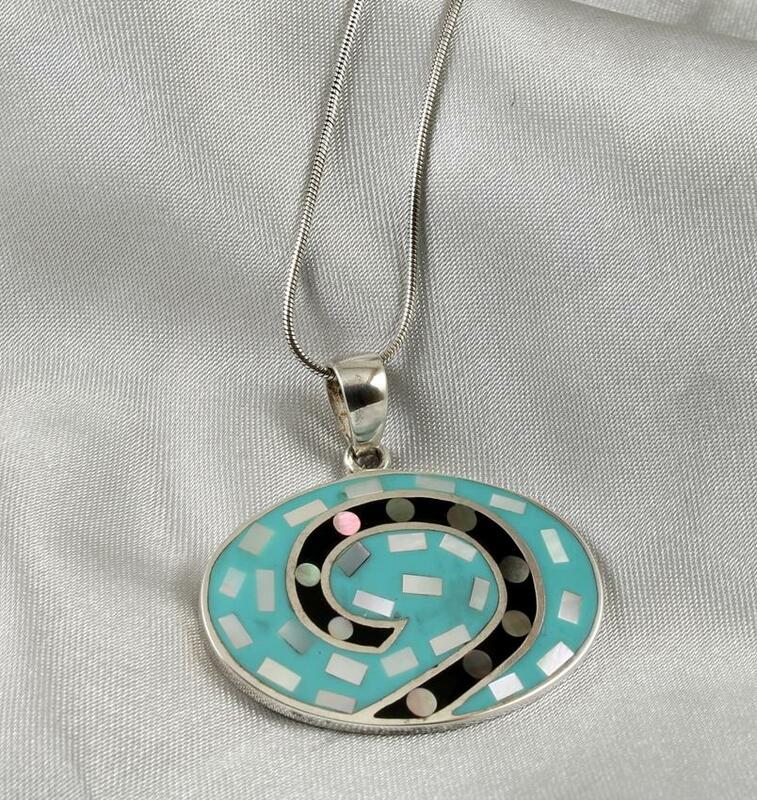 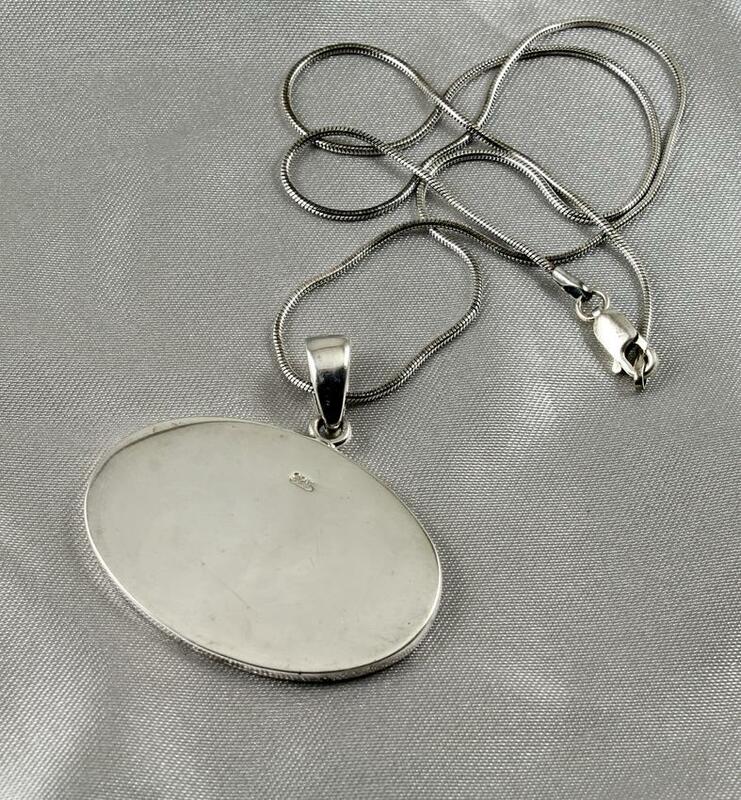 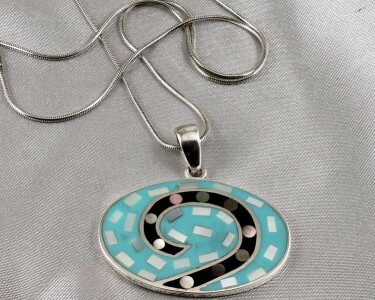 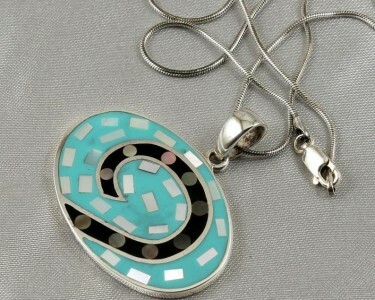 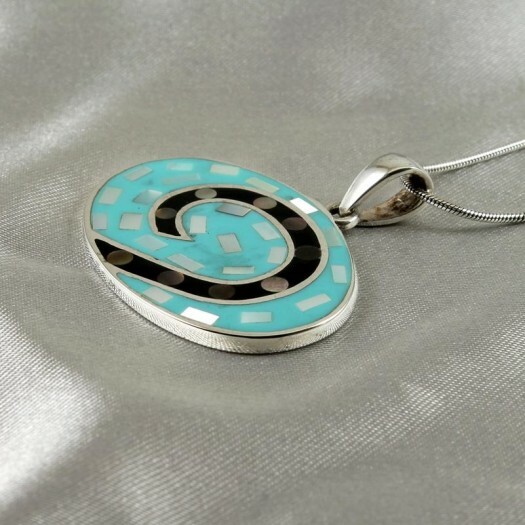 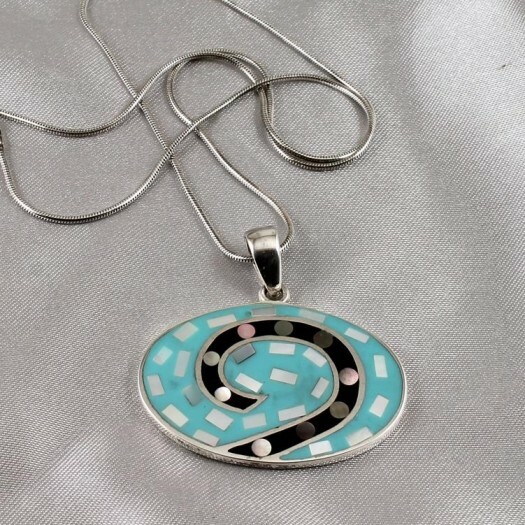 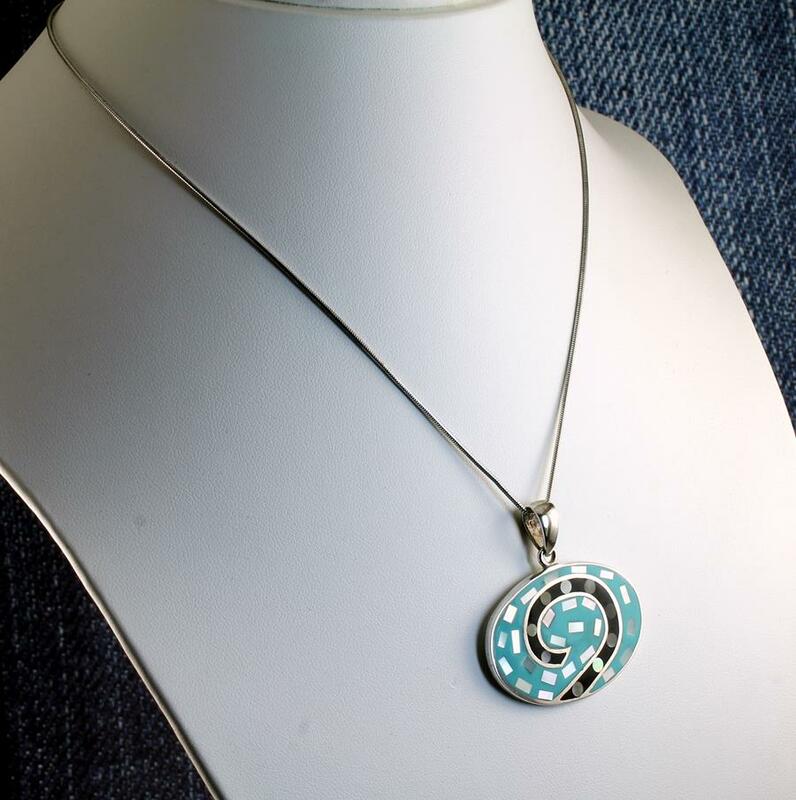 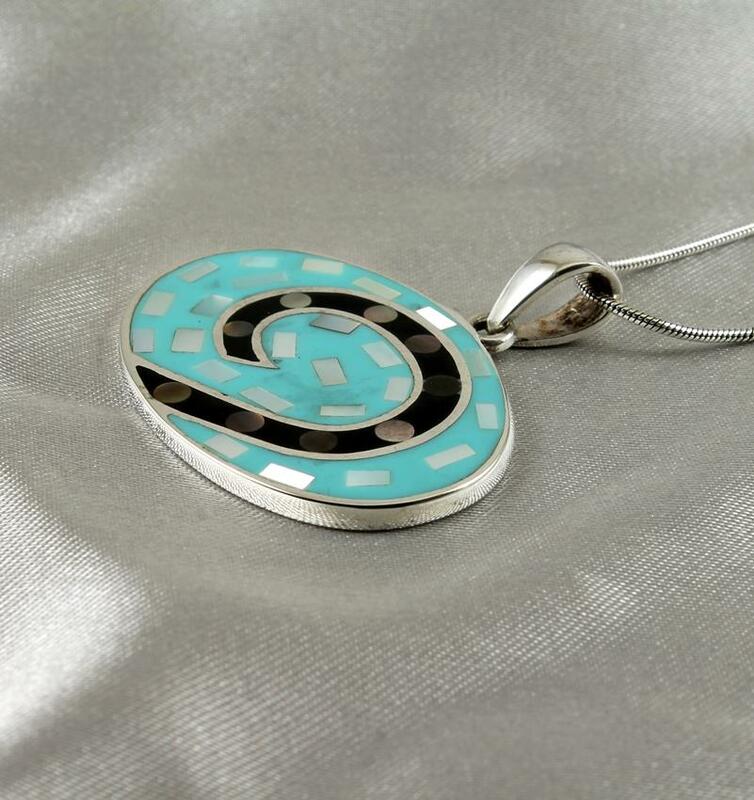 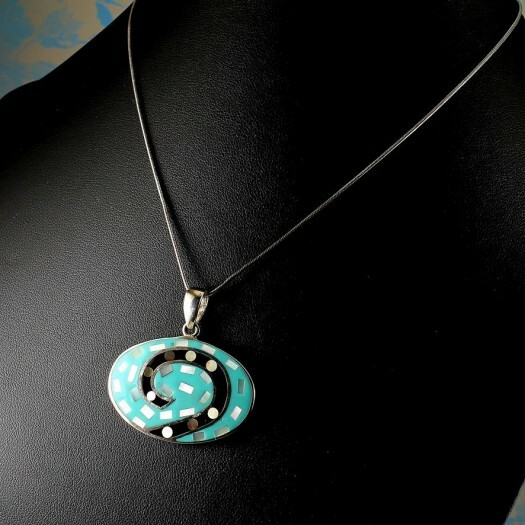 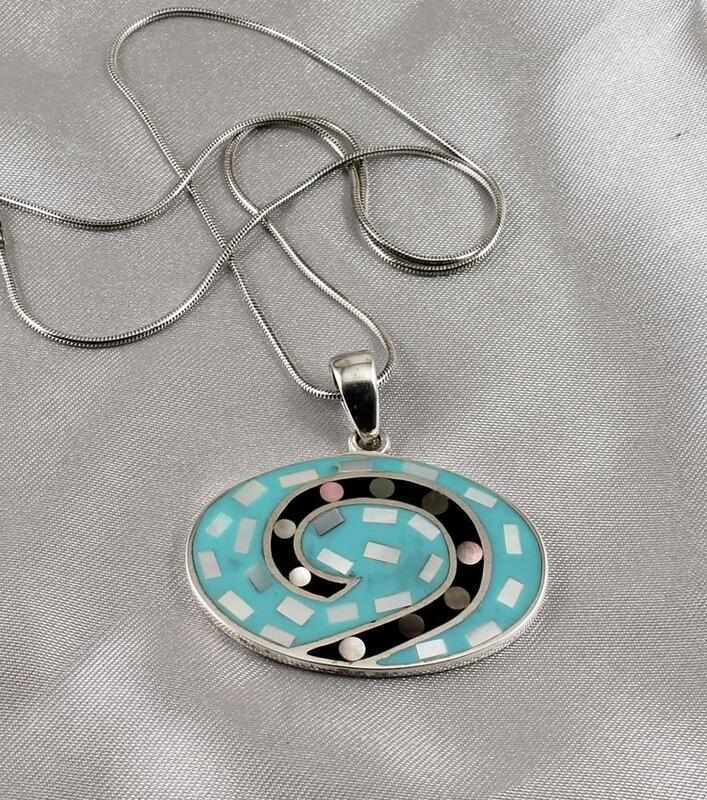 This vintage 1960s oval pendant features a delightfully crafted black and turquoise organic design with fine, iridescent, Mother-of-Pearl mosaic highlights, set in a large oval Sterling Silver 925 bezel tray. 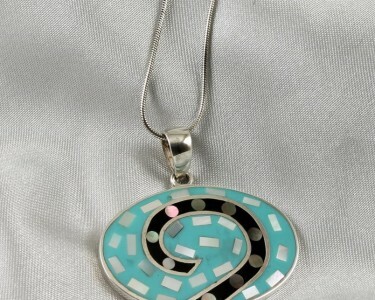 Strung on a Sterling Silver round snake chain with a lobster claw clasp. 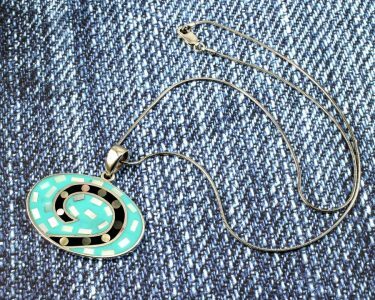 Wear It With : A wonderful reminder of the Mod era of the 1960s, and a great conversation starter. 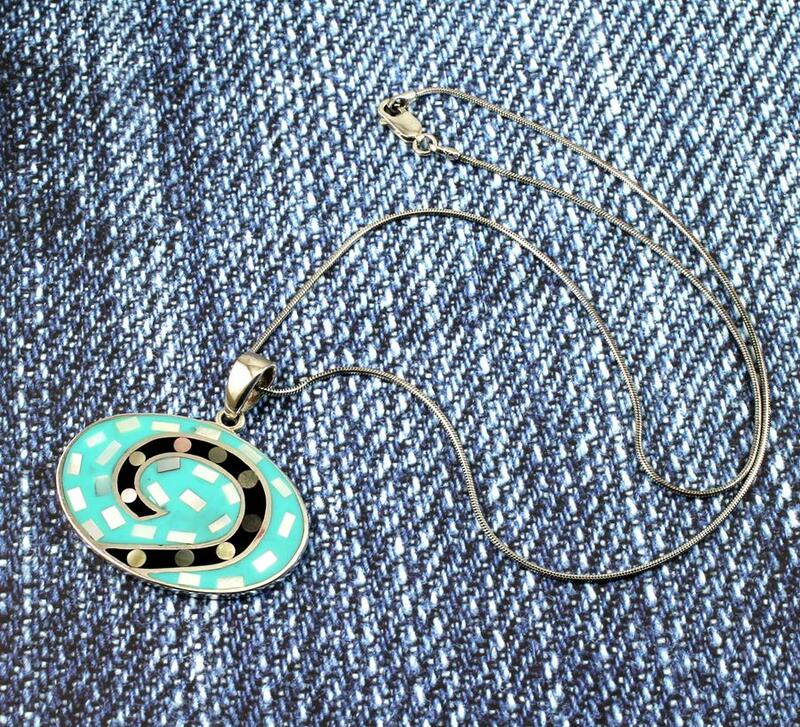 The stylish colours of Turquoise and Black, with sparkling Mother-of-Pearl highlights, will ensure that this evocative piece will go perfectly with your denims, or will stunningly lift a plain outfit in a simple shade like black or white. 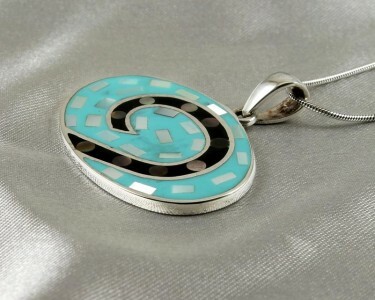 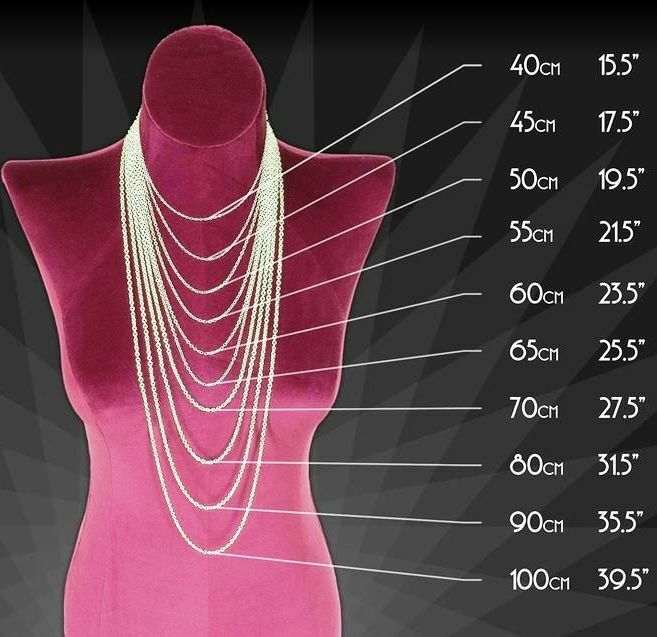 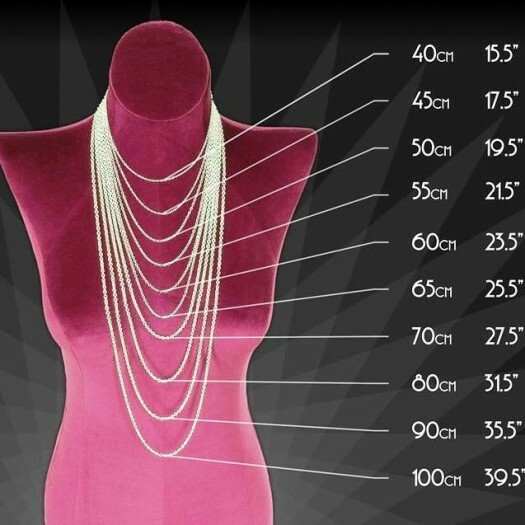 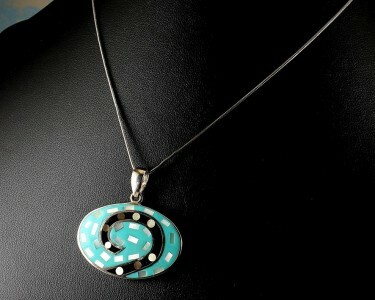 Match other Turquoise, Black Onyx or Mother-of-Pearl accessories, or be totally eclectic! 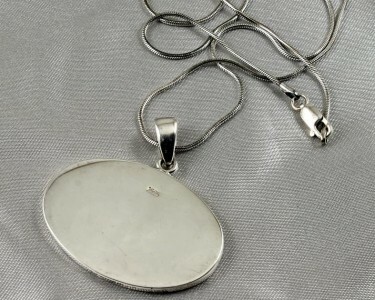 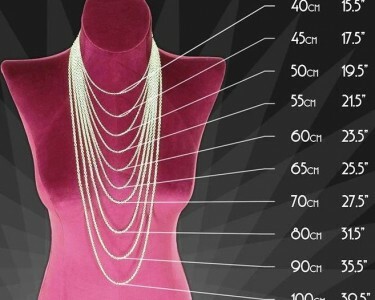 Condition: Excellent: Minimal signs of wear, all stones present and brilliant, and clasps and findings in perfect working condition.